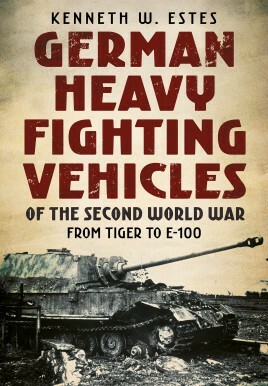 This book is only about the German heavy fighting vehicles that were actually built to some degree. This book does not include the Third Reich's flights of fantasy, or designs that were still on drawing boards. From The Tiger I to the E-100 these vehicles were either used in battle or at least had a hull manufactured. The book starts with German tank development from 1918-1939. Then there is a small chapter on the German heavy tank program in general. The next part of the book has separate chapters on the various types of heavy fighting vehicles, from the Tiger I to the Sturmmorser Tiger (Sturmtiger). It then continues with a history of the numerous German heavy tank, or antitank, units in the war. The middle of the book is filled with sixteen pages of colored photos, most of them of the inside of a Tiger II. The most interesting part of the book are the five appendices. These are either US or British evaluations of German heavy tanks, or interrogations of German engineering doctors involved in the production of them. In the epilogue, there is a list of all the remaining German heavy fighting vehicles that can be seen, and what museum they are in. The small amount of them remaining means that few of us will be able to see any of them in person. One of the recurring themes of the book is the detrimental effect Dr. Ferdinand Porsche had on the German heavy vehicles program. His interjections into most of the programs seem to be a Godsend to the Allies. From what the book shows, he should have stuck with Volkswagens and race cars. The author also shows us that the hurried nature of the development of these behemoths led to tons of teething troubles. We are also shown how the actual engine development lagged far behind the rest of the parts of these vehicles. The engines and transmissions of these large tanks and tank destroyers were always their Achilles heel. This is a well written book for the military reader to see the inner workings of German engineering and back story to the development of these vehicles.